Floris of Love vs. Design just sent over a link to a new printable. 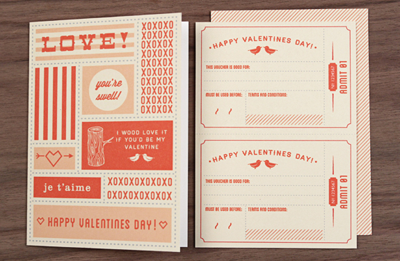 It's a Valentine's Day card and a set of coupons you can fill out for your sweetie to redeem. Help yourself to the free download here! Really cute! I love the design and the coupons are a great idea too! Fun! I'll be using sending these out next month! What a beautiful card! Very nice design. Thanks for this! They have some really sweet designs! Thank you for posting the printable valentines, SWEET!! !